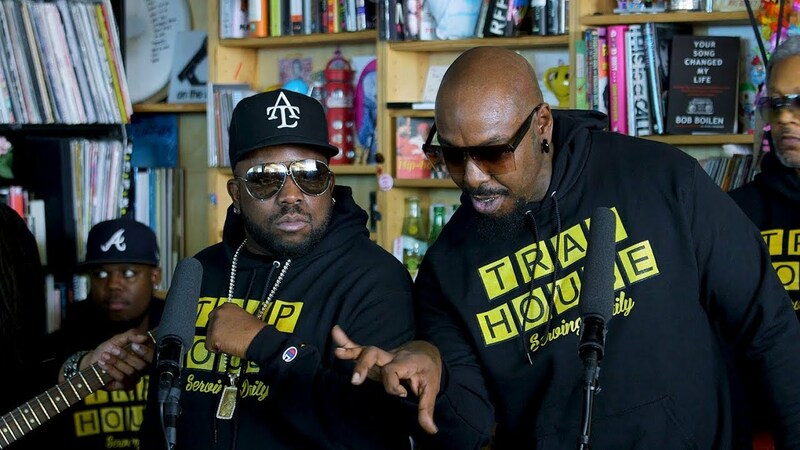 OutKast star Big Boi, Sleepy Brown of the prolific Atlanta production collective Organized Noize, and their eight-member backing band have been working together for 20-plus years, and their chemistry is instantaneous and undeniable. These guys helped redefine the sound and style of hip-hop in the ’90s, incorporating funk and psychedelia while transcending genre boundaries. As half of OutKast — still the only rap group ever to take home Album of the Year at the Grammys — Big Boi continues to thrive as a solo act, riding the charts with last year’s Boomiverse and its hit single “All Night.” Big Boi played that infectious, horn-drenched banger at the Tiny Desk, and book-ended it with two of his best-known OutKast songs: “So Fresh, So Clean” from 2000’s Stankonia and “The Way You Move” from 2003’s Speakerboxxx/The Love Below. Along the way, he and his stellar supporting players just keep feeding off each other in a set that’s bound to leave you smiling.